In the world of graphic designing, one of the most recognizable names is Adobe Photoshop. 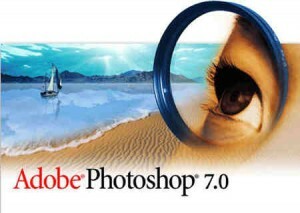 Offering an extensive selection of instant effects, a fluid graphical engine, a professional-looking interface, and attaining an admirable level of distinction among other computer programs, Adobe Photoshop is truly a beast in the art world. While its offers definitely have the capability of blowing minds away, it is also unfortunately tagged with a price tag. In the past, Adobe Photoshop is a program that consumers can purchase in a one-shot payment, but now, one can only obtain it through a ten-dollar monthly fee. This may be small, but for some, it is troublesome. In conjunction with the price, the program also has a huge file size, and it requires a specific set of system requirements as well. Adobe Photoshop is leveled around 2 gigabytes of storage space, and it demands a minimum clock speed of 2 gigahertz and a minimum RAM of 2 gigabytes. Thankfully, Adobe Photoshop isn’t the only photo manipulation program available in the market. The good news is that while some of the Photoshop alternatives that will be discussed in this article still require payments, some are completely free. Dive deeper to read more about the best image editor programs out there that you can use instead of Adobe Photoshop. Paint.NET is one of the simplest photo editors available on the internet, and compared to the might of other programs; it can be considered to be one of the weakest. It is not completely useless, though. 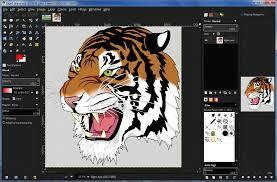 Paint.NET’s interface is designed to be reminiscent of the interface design of MS Paint, so it is extremely user-friendly. Layers are also available for utilization as well. Effects are rather primitive but they function well, and the inclusion of an efficient magic wand tool is a giant step forward. Paint.NET also mainly focuses on adjustment effects. There are available tools that you can use to adjust the contrast or the brightness of a photo, tweak with a photo’s color range, modify a photo’s curves, and a whole lot more. Layers can also be modified to apply several modifications to the ones below them, some of which are negation, multiplication and color burning. One of Paint.NET’s greatest features is its ability to improve itself via plugins. Plugins can be used to enhance the program through various ways, such as adding elements to the tool box or adding new effects. Plugins can be found from the official Paint.NET forums, and the installation process isn’t too time-consuming. The file size of Paint.NET is also multiple times smaller than Adobe Photoshop’s. Its size is lower than 50 megabytes. The file size of a plugin can range from 200 kilobytes to 2 megabytes. Among all of the other Photoshop alternatives discussed in this article, Paint.NET requires the weakest set of system requirements. Another one of the few free image editor programs available on the internet is GIMP. GIMP is an abbreviation for GNU Image Manipulation Program. Compared to Paint.NET, the interface of GIMP inches nearer to Adobe Photoshop’s, and its capabilities stretch closer as well. For a free program, GIMP offers an even broader list of tools and effects that are of admirable quality. Realistic brushes, color correction, image quality enhancement, and selection manipulation are just a few of the many tools that are offered. GIMP is also a well-recognized program among sketchers and artists all over the internet because of its drawing tools. Overall, GIMP is more complex but more powerful. GIMP’s file size is still relatively large, but still smaller compared to Adobe Photoshop. It also requires weaker system requirements. Contradictory to the previous two that can be used for drawing purposes, Corel PaintShop Pro is a program that puts a great deal of emphasis on photo-editing. While brush tools still exist inside the program, users will be able to find that the program is mostly composed of photo-editing effects. Aside from the dark background, Corel PaintShop Pro’s interface_ differs greatly from Adobe Photoshop. Layers and masks are available for use. Hidden inside the program are multitude amounts of filters and effects that can be applied to photos to enhance their look or entirely change their atmosphere altogether. Another unique feature of Corel PaintShop Pro is that it supports the extension of your list of tools. The program supports the inclusion of brushes specifically designed for Adobe Photoshop, which may be a plus. The program can be purchased as a whole in a single payment only (as opposed to Adobe Photoshop’s new monthly payment system), which may be a plus. Acorn is a simple program, yet it stands out as one of the best Photoshop alternatives out there. Acorn provides the artist with an elementary yet simple interface, and the field of tools that comes along with it proves to be highly effective. Acorn provides the user with a unique set of tools. Its layers can be modified with various layer styles, and its filters can be applied without prejudicing the quality of the photo itself. There are also blending modes and curves, much like Paint.NET. Acorn is designed to work on any MacBook and iMac released beyond 2011.